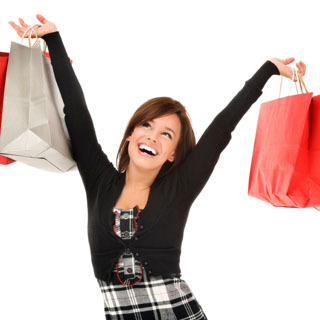 Unwind and let a professional do the shopping for you with a Personal Shopping Consultation. The 3 hour personal shopping day will commence with an informal meet and greet over a coffee. Then it's time to go shopping. I will take you to different clothes shops to suit your needs and budget. The day will be filled with fun and useful tips on colours and styles that best suit your shape and complexion. Lunch is included with this Consultation. Use this gift voucher on AllGifts.ie to make a booking with Maria Kelly Fashion. Or you can order a Maria Kelly Fashion voucher for delivery by post and make a booking directly with them at a later date. Maria Kelly Fashion vouchers are posted out free of charge once ordered. Maria Kelly is an established fashion consultant based in Dublin (but travels nationwide - travel expenses may apply). Maria Kelly travels for consultations throughout Ireland.She studied Image and Styling at the Dublin Institute of Design and is an Associate Member of the Irish Image Consultants Institute. Dublin based Maria Kelly travels for consultations throughout Ireland (travel expenses may apply). She has a qualification in Image and Styling from the Dublin Institute of Design and is an Associate Member of the Irish Image Consultants Institute. Maria has a degree in Nursing, but fashion has always been a passion of hers since she was a young girl dressing up in her mothers clothes, so having taken a year out to travel the world, she decided to follow her first love in life - Fashion. Gift Vouchers from Maria Kelly Fashion are posted out free of charge. For consultations outside the Dublin area, travel expenses may apply.